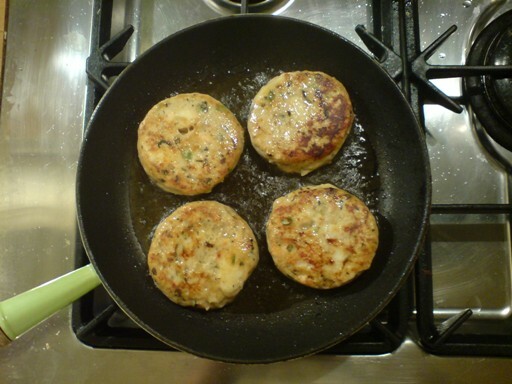 Simon and I ate from the Marks and Spencer range this evening. 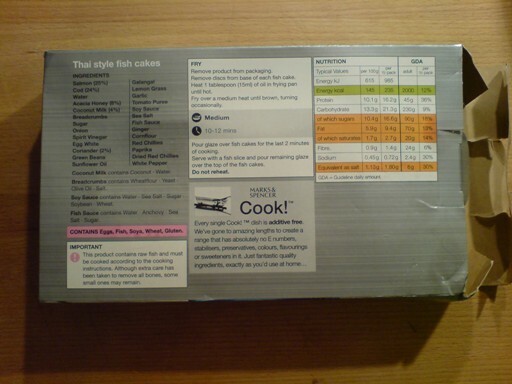 I was struck by the improved food labelling on the back of the box of Thai Fishcakes. Simon pointed out that it was part of their “extra-special range”. Both of us agree that they were really rather good. Simon was also keen to point out that four Thai Fishcakes cost a total of £6. Terribly good value. Go buy them (if you can).